NBC Connecticut is Connecting You to Joy with a list of New Year's Eve events across the state for Dec. 31, 2016. Suggestions range from a glamourous night on the water to a family-friendly bowling party. Check out the list below. Show off your moves at this dance-inspired New Year's Eve event. Classes begin at 3 p.m. and the party goes through the night! Open bar included from 8 p.m. to 1 a.m.
Hit the streets of downtown Hartford for the 28th Annual First Night New Year’s Eve Celebration! 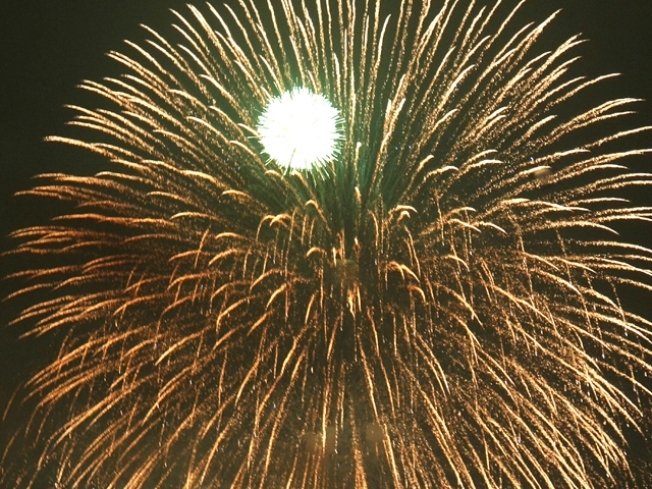 This family-friendly event has setups all around downtown and includes two fireworks shows. Check out the offers at Foxwoods Resort Casino for a variety of NYE's options. Mohegan Sun offers a variety of New Year’s Eve festivities. Visit their website to browse the offerings. Spend New Year’s in a thrilling murder mystery masquerade as you cruise down the river on a Lady Katharine Cruise. Must book ahead! Looking for some family fun this holiday? Lessard Lanes in Plainville is open all day New Year’s Eve and offers special party packages starting in the evening until midnight. 5:30 p.m. – 12:30 a.m. Looking to class it up with a river view? Check out the New Year’s Eve Bash: Casino Royale at the Mystic Yatching Center. This event is for the 21+ crowd. Feeling fancy? This event at the The Country House includes dinner and entertainment for $200 a couple. One ticket - two bars! That's the idea behind the McFadden's and BarBQ New Year's Eve event. Ticket includes top shelf open bar a full dinner buffet, party favors, and a champagne toast at midnight. Let laughter ring in the new year. The 7 Angels Theater in Waterbury offers two stand-up comedy shows featuring four NYC comics - and the later show features a champagne toast at midnight. 6:30 p.m. and 9:30 p.m.
Galaxy Roller Rink offers two alcohol-free NYE parties - an early party of the youngsters, and a late party for everyone else. Bring on the family fun! 11 a.m. - 5 p.m. and 7:30 p.m. to 1 a.m.
6:45 p.m. to 12:20 a.m.
For $100 a person enjoy a night of food, drinks and entertainment at Amarante's Sea Cliff. Reservation required. 7 p.m. to 1 a.m.
A grand buffet dinner is followed by an open bar and live entertainment sponsored by I95 Rock and Kicks 105.5 all night. This event hosted at the Crowne Plaza Danbury is 21+ and starts at $259 per couple.